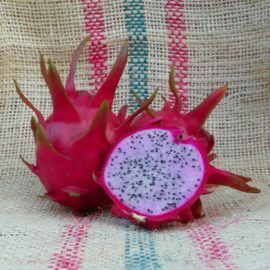 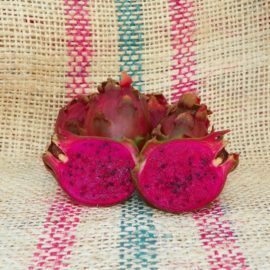 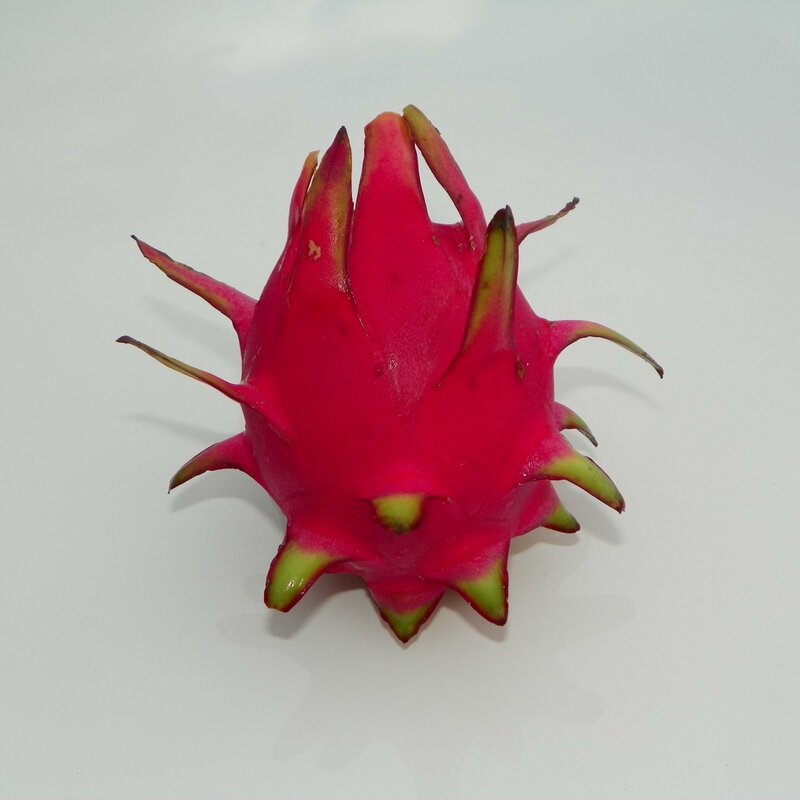 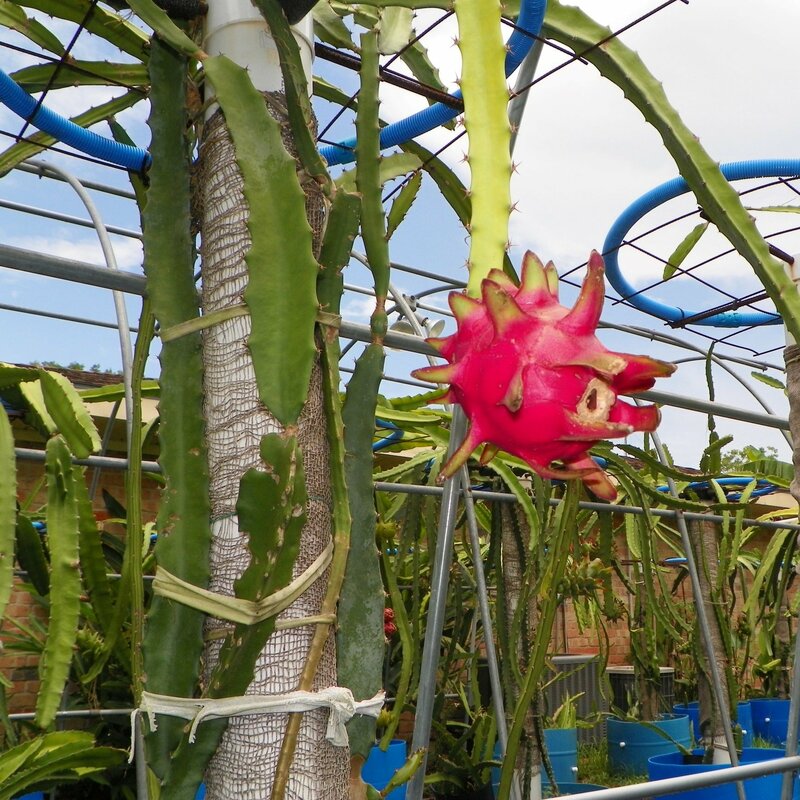 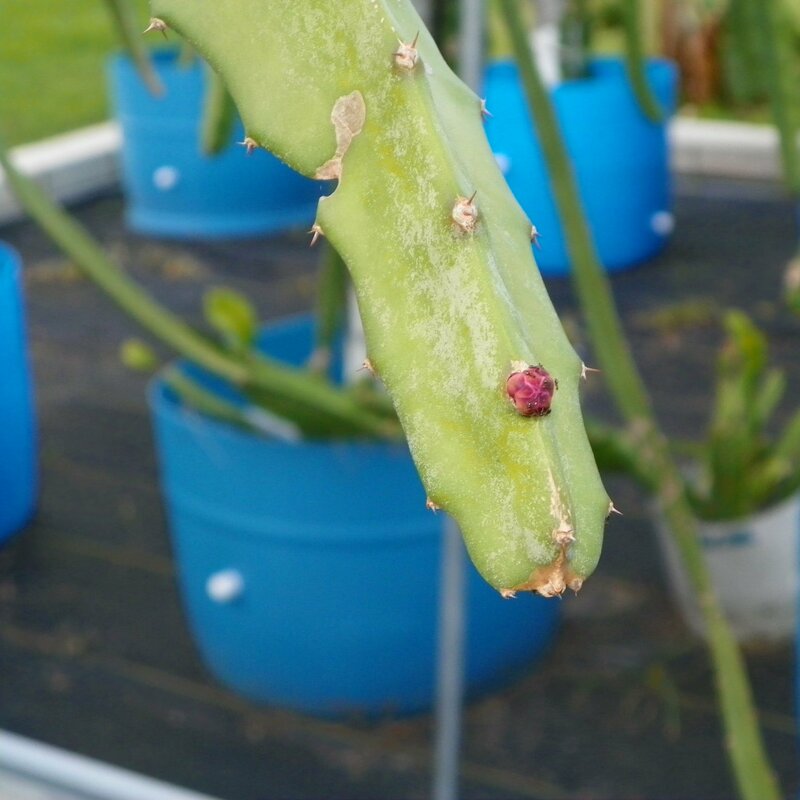 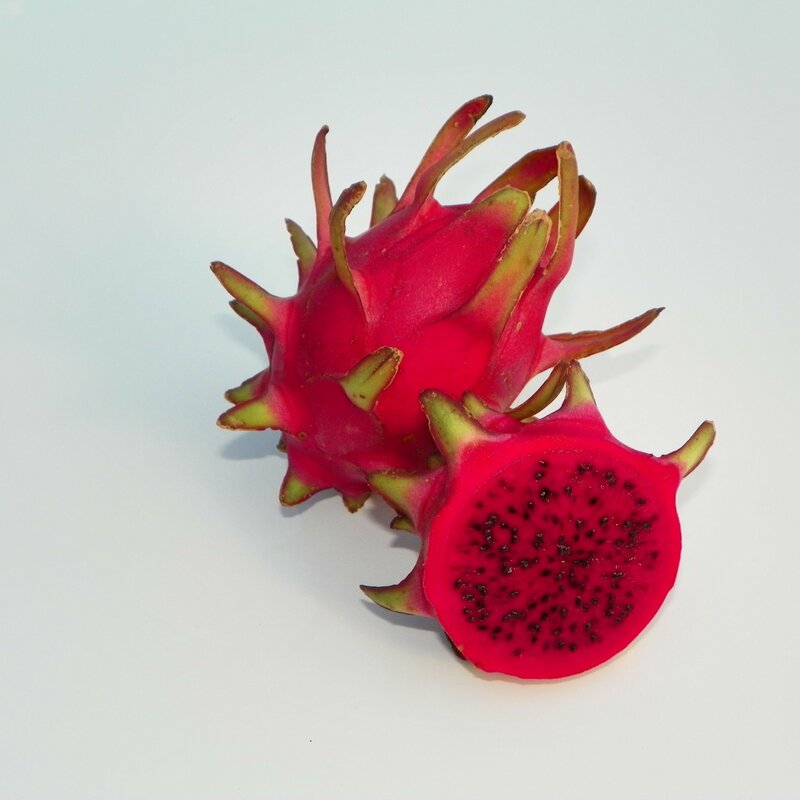 Hylocereus Polyrhizus Dragon Fruit is the common red-fleshed variety. 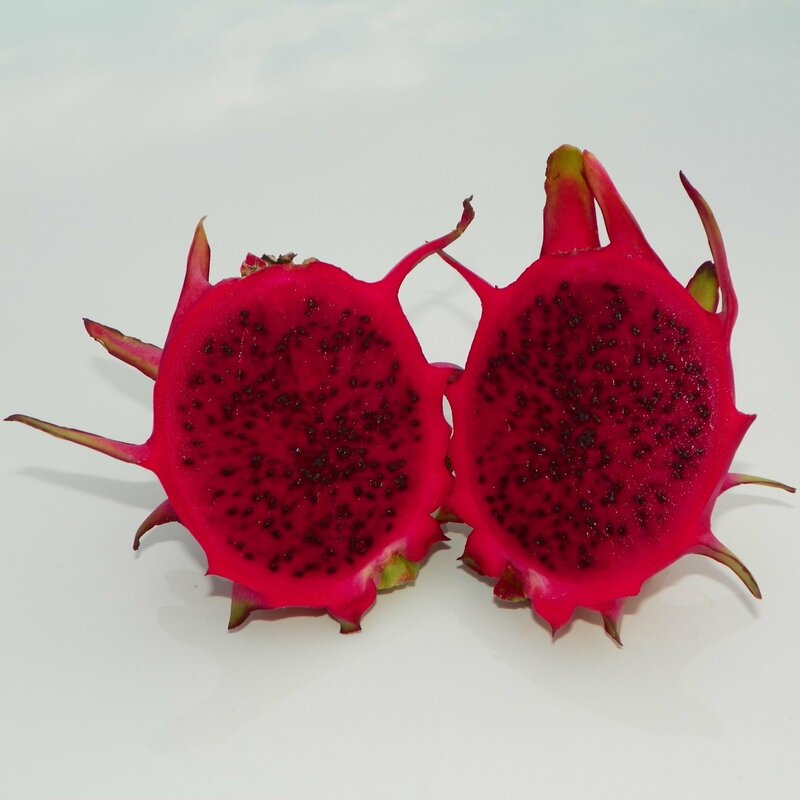 It is known for being a super fruit, having high antioxidants due to its deep red flesh. 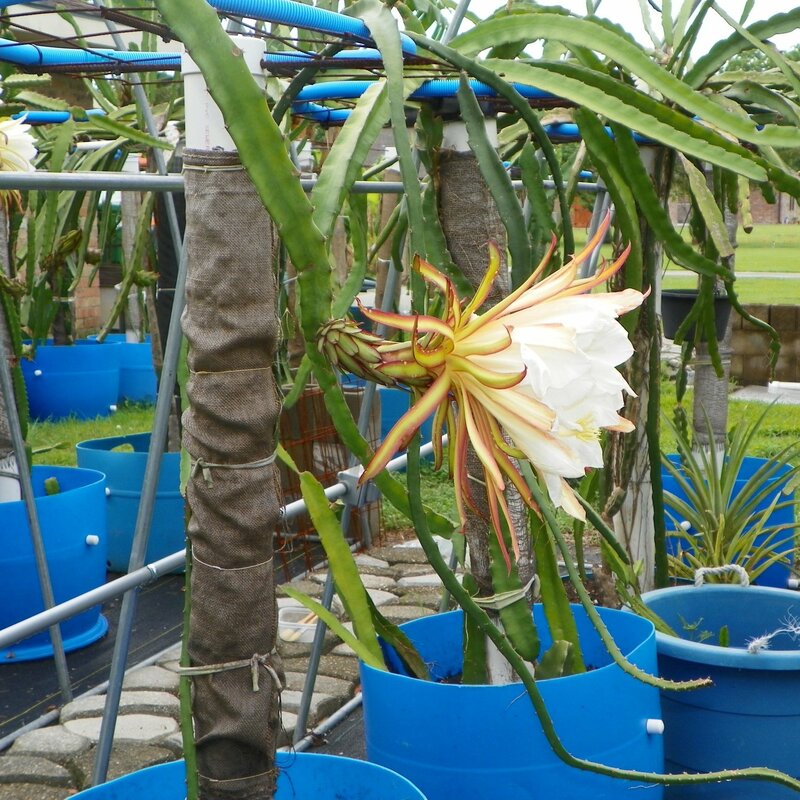 The plant is strong branching and tolerates heat well. 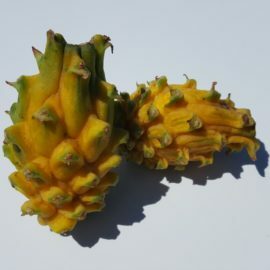 The stems are approximately 19 to 16 inches across, clinging to tree trunks by many aerial roots. 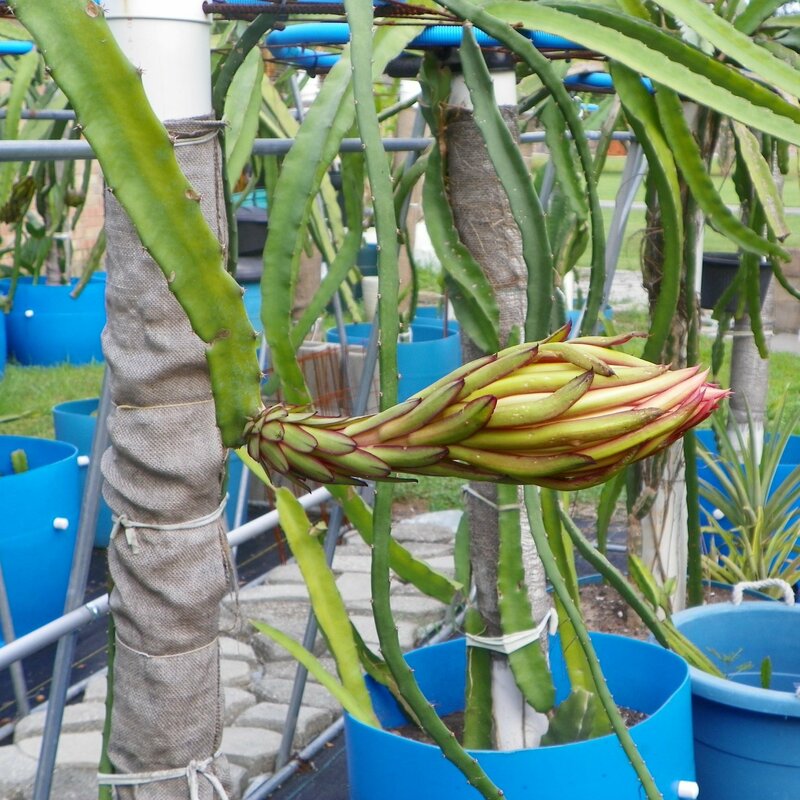 As stems emerge they are often reddish when new, then turn waxy, blue-white, and later to green. 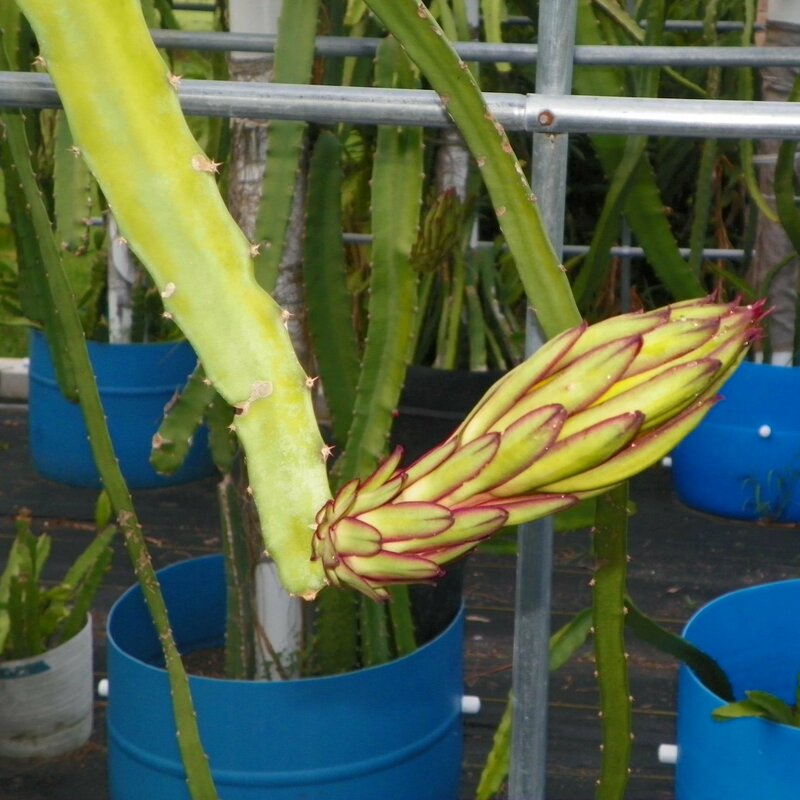 Also, the ribs of the stem are deeper, to begin with, but as the stems mature they become thicker. 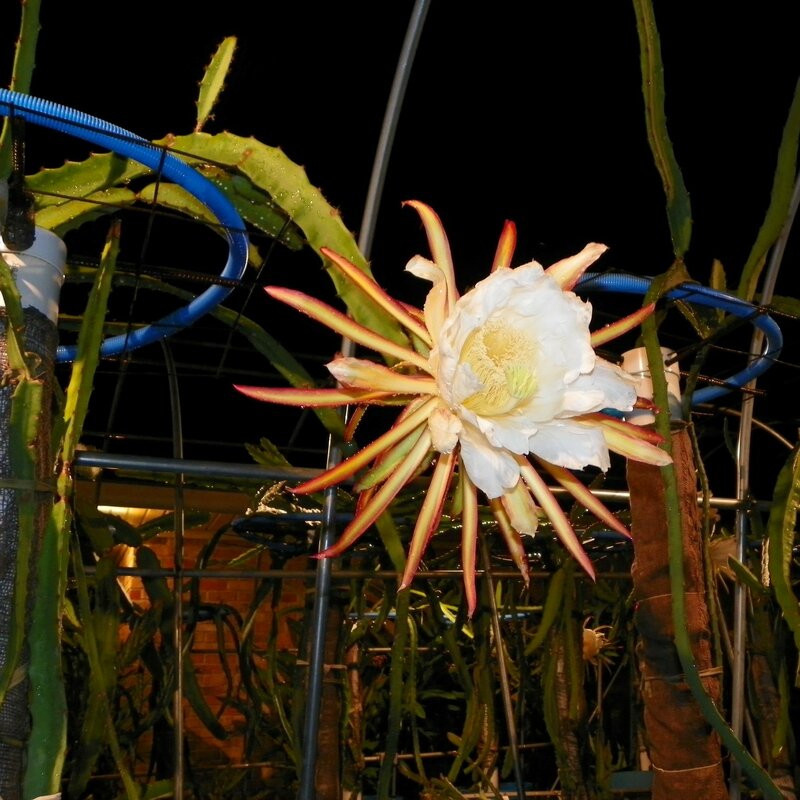 Mature plants produce 15 inch long blooms with white petals and red and yellow outer petals. 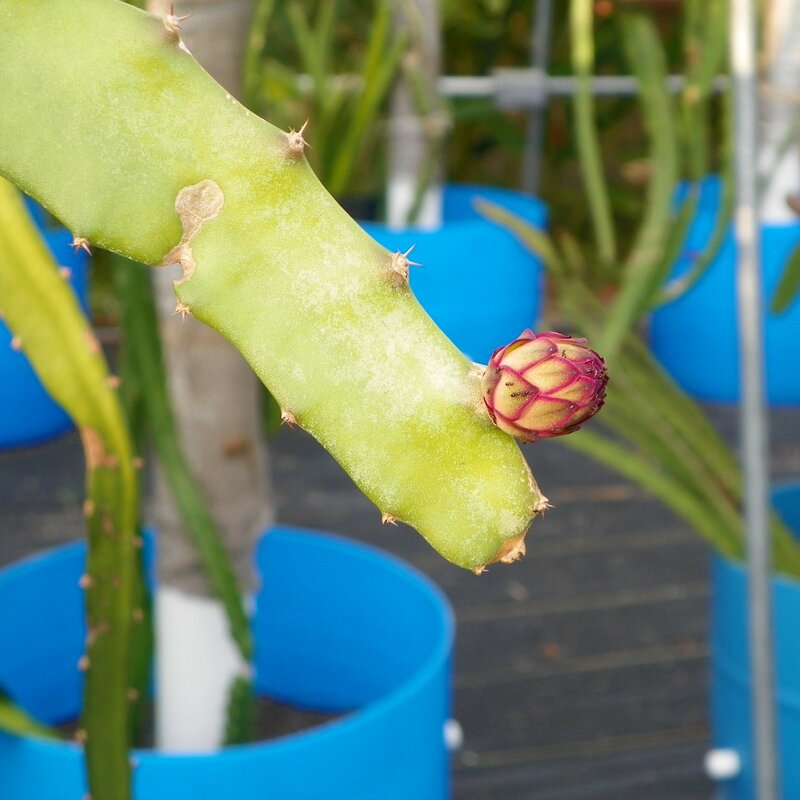 Flower budding to flower is 30 days and another 30 days from flower to fruit. 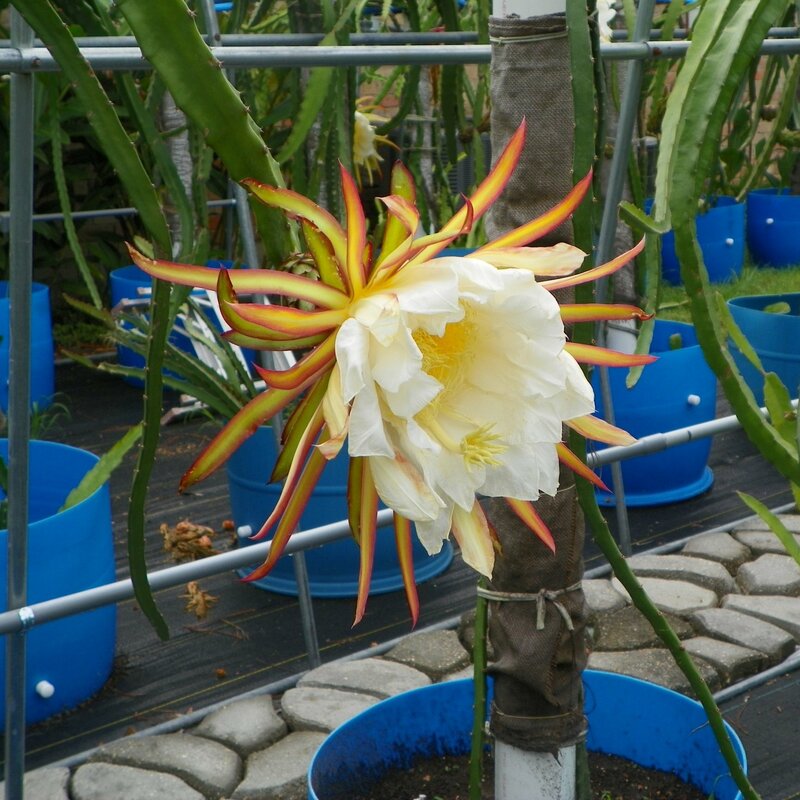 The natural habitat occurs in Colombia and Panama where the average annual temperature ranges from 73 to 81 degrees Fahrenheit. 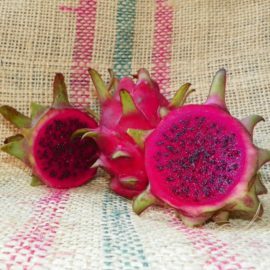 This variety was acquired from a grower in Texas.